A jar of Marmite! A jar of Marmite! My kingdom for a jar of Marmite! OK, things aren't quite that dire (yet) following the Brexit vote earlier this year, but one of the biggest social media fallouts after the UK's vote to leave the EU is this week's shelf-stable grocery items crisis—specifically supermarket chain Tesco's online shortage of Marmite, PG Tips tea, and Pot Noodles. According to reports, Tesco has been embroiled in an ongoing price battle with Unilever, which manufactures all those brands in the UK, along with other goodies like Ben & Jerry's and Hellmann's mayonnaise. In the face of the falling value of the British Pound, Unilever has moved to increase its product prices—Tesco won't agree, so has removed the company's items from its online ordering portal. "This is such a large event that it may simply be that the two gorillas on both sides have decided to go through the motions of the negotiation on behalf of the industry," one analyst told the BBC. "This isn't about Tesco or Unilever but about all UK retailers and suppliers." Celebrities, meanwhile, have taken to social media (where else?) to voice their quippy, tongue-in-cheek concerns—or to declare their food neutrality, like Ricky Gervais, who Twitter-deadpanned: "I have no strong feelings either way about the Marmite shortage." 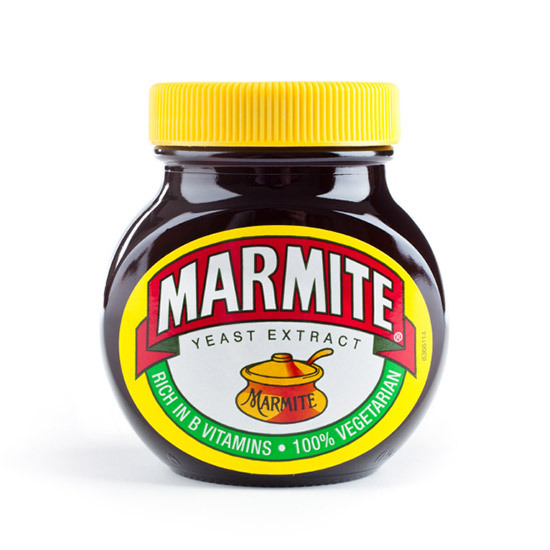 Broadcaster Charlie Brooker posted a photo of a jar of Marmite and declared it his "BREAKING POINT" in allcaps. And adventurer-presenter Ben Fogle urged his fellow citizens to take even more extreme measures, dubbing the whole fiasco #marmitegate: "Good people of Britain. No matter how terrible this Marmite war becomes, we must not go to the dark side.....Vegemite #marmite #Marmitegate." Will Brexit Ruin British Food?